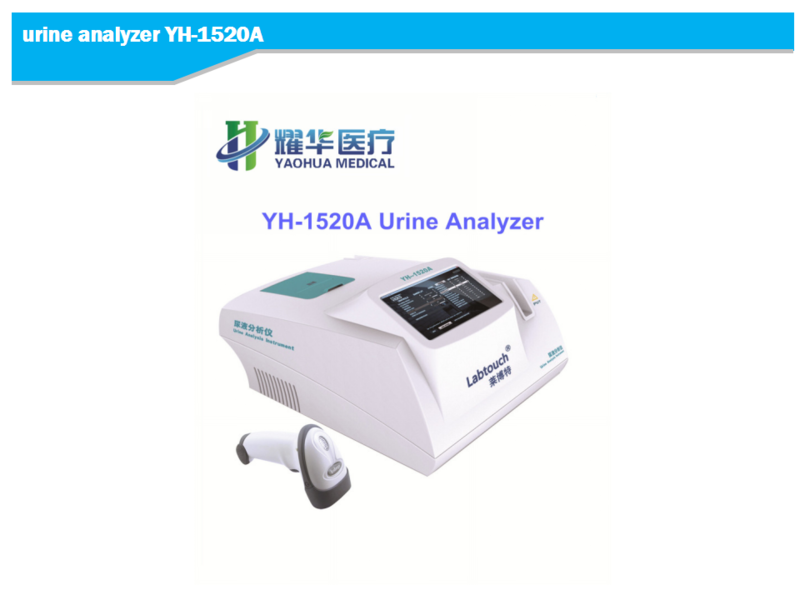 YH1520A urine analyzer is one semi-automatic instrument which uses microprocessor and photoelectric technology.It use color touch screen operation,have high intelligence degree and the accurate result.Instrument is composed of shell,power supply,transmission system,measuring system and color touch screen,bar code scanner,thermal printers,serial and parallel parts. 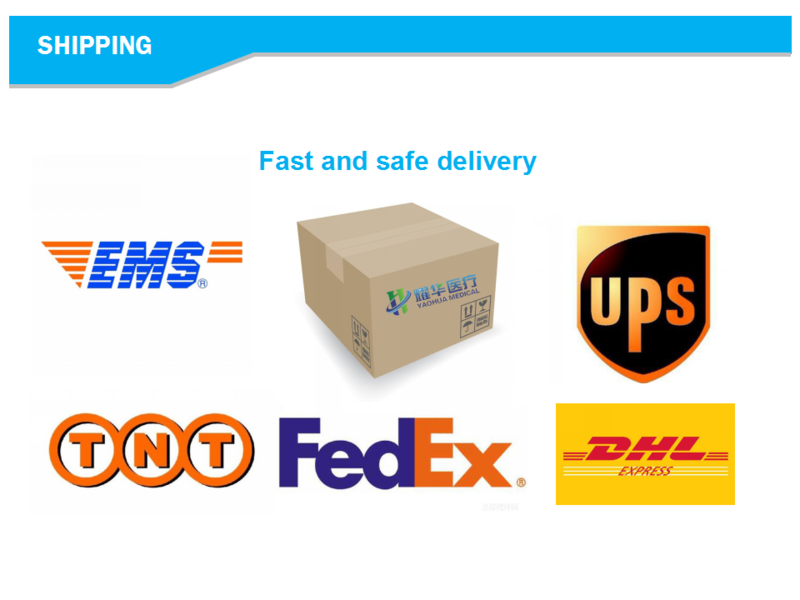 1.Color touch screen display,menu operation interface,convenient operation. 2.New cold light sourcing testing technology,strong anti-interference,high sensitivity,good stability. 3.The instrument includes 8-inch color touch LCD screen,built-in printer and built-in bar-coder scanner(optional),it could identify sample position and information automatically which could improve effency.It could accomodate more than 200pcs urine strips and could add more any time. 4.Automatic sampling device is compatible with automated assembly line,it could be connected with automatic urine sediment analyzer to form pipeline system. 5.The sample do not need centrifugaion or pretreatment.The instrument would test automaticlly if put the sample rack inside. 6.Emergency insertion funtion,the instrument would give priority to deal with the emergency sample without stopping the routine detection. 7.The instrument could add sample intelligently according to the urine strip reaction block which ensure the uniformity and sufficiency of reaction. 8.Accurate quantitative sampling technology,which avoids cross pollute between projects. 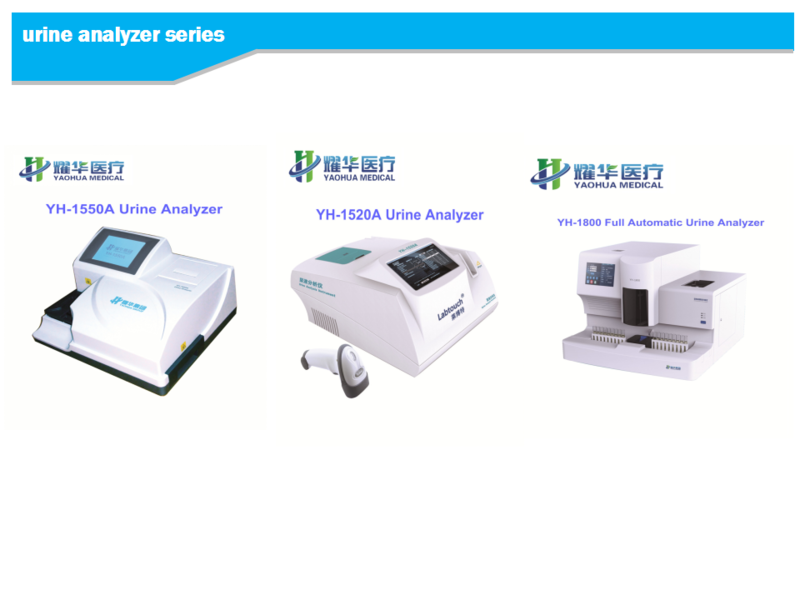 9.The instrument can do quantitative analysis to SG,it could test the sample color and turbidity. 10.The instrument can accommodate 60 samples. 12.A funtion of calibration and quality controls. 13.The standard RS-232 interface with functions of connecting to network,it can be connected to the LIS and HIS system. 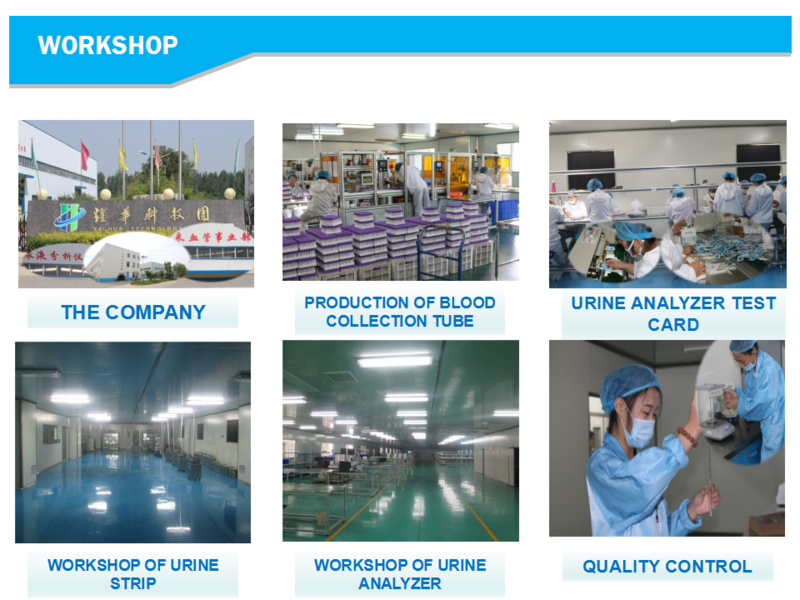 Shandong Yaohua Medical Instrument Corporation is a factory specialized in urine test strips & urine analyzers in china.We have urine test strips from 1 parameter to 14 parameters,and we have portable urine analyzer PUA-120,semi-automatic urine analyzer-YH1520A,YH1550A and full-automatic urine analyzer-YH1800,YH2180.Pls be assured you will save much cost by ordering directly from a professional manufacturer like us,and be free from customer complaints about quality,we will supply you enough techinical support and after-sale service.We have exported our products to more than fifty countries in the world,with good customer feedback,pls contact me freely for more details information,your inquiry will get timely reply!